Government legislation requires distributors to meet certain battery and electrical recycling standards. 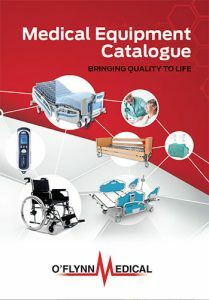 O Flynn Medical are fully committed to fulfil its obligations as a ‘Producer’ of electrical products and batteries. Under it’s ‘Producer’ obligation O Flynn Medical has registered on the WEEE registration number OFL100 and IE01427WB. O Flynn Medical Ltd will accept old/used batteries and electrical products from our consumers free of charge. This is intended to provide a convenient recycling system for our consumers.